AKTU/UPTU/UPSEE Rank Predictor 2019 helps the students to predict their rank before the result declaration. UPSEE (Uttar Pradesh State Entrance Exam) is a state level examination which was formally known as UPTU Exam. 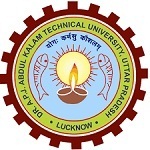 It is managed by the Dr. A P J Abdul Kalam Technical University (AKTU), Uttar Pradesh. This exam is conducted to get admission into different UG & PG programme in the area of engineering, architecture, pharmacy, management, etc. Candidates check this article to know about AKTU/UPTU/UPSEE 2019 Rank Predictor. The AKTU rank predictor 2019 helps the candidates to know their probable rank of UPSEE. With the help of the UPSEE/UPTU rank predictor, candidates will predict their chances to pass the AKTU Exam. Candidates will find their rank with the use of the answer key. UPSEE 2019 answer key will be released for the examination which will held on 21st April 2019 (for UG & for PG). Answer key is released along with question papers and solutions. The rank provides by the rank predictor is not the official rank. The official rank will be declared by the authority. UPSEE 2019 Answer Key will be released on April 2019. Candidates will be able to check the UPSEE answer key 2019 through online mode. It is released separately for all the courses. UPSEE Result 2019 will be declared in the last week of May 2019. Candidates, who are going to appear in the exam, can check the result through online mode. UPSEE Counselling 2019 will be started from 10th June 2019. It will be conducted through online mode. Candidates, those qualify the examination, they are called for the counselling as per their merit. The qualifying marks are the marks that aspirants have to score in the entrance exam for admission in the various courses of the University. The minimum percentage to qualify the UPTU Exam is 25% (for General/OBC category) and 20% (For SC/ ST Category). It is necessary for candidates to secure the minimum marks otherwise he/she will not get admission in the colleges/institutes. Through the UPTU Rank Predictor 2019, students will get an estimate idea that how much expected rank they are going to score in the examination. After the result, UPSEE counselling process will be started. The counselling is commenced from 10th June 2019. Candidates who will qualify the UPSEE exam can appear in the counselling process. The counselling process starts with document verification, choice filling, and locking and finally seat allotment. Candidates have to report to the allotted colleges/institutes and deposit the fees to complete the admission process. If you have any other queries about AKTU/UPTU/UPSEE Rank Predictor 2019, you can leave comments in the comment box. Sir,I Will get 144 marks in uptu 2016 can i get government college and category is general. sir i expected 188 marks having rank more than 50000 in upsee exam 2016 .may i get good college with cs stream. Sir I will get 296 marks. Can I get a government college? I am in obc category. i m geting 216 mrks un upsee 2016. I m general girl with defence quota. Wich college will i get & what about my rank. I got 388 marks UPSEE,is there any chance of getting a college?? somebody plz help me out..I jzt wanna know that while counselling I ll get college according to my general rank or will my girl quota gonna help me ie will I get according to my gngl rank…. sir, i am a sc candidate and got 292 marks ? what will be my rank? may i get hbti college in any branch ? I will get 200 marks in uptu 2016 paper 1. My rank will be 50000. For the girl quota can i get in jss or Ajay kumar garg. I m getting 160 no in PPR 1 gen quota and having a domisile.. Will I be able to get through any college under this Univ ? Mere marks 180 aa rhe he to kya mujhe government college milega mujhe answer yes or no mai chahiye only…. I claimed the rural weightage in upsee but have got no certificate to prove the same. Will it pose any problems at time of counselling? Plzz tell me quick as I’m very nervous about it..
is 12 marks added in uptu? Sir m getting 224 marks in upsee in 2016 is dere any chance to get admission iet lucknow as i m belong from sc category…an is dere any weightage of jee mains in uptu?.. sir mere uptu 2016 me 224 marks.aa rahe hai .mai sc category ko belong karti hoon kya mujhe hbti ya lkw iaet me koi branch mil sakti hai mere jee main me 61 marks hai cbse baord me82%the pls send.me the reply on my mobile no. is there any reservation?…..nd if 12 th marks will b considered for councellng..?? Sir, my expected marks in UPTU 2016 Paper 1 is 428. Can I get a good branch in HBTI Kanpur?? I am expected to get 236 in UPSEE 2016. Also I am OBC. Can you tell me an approx idea of how much rank I will obtain. From the above rank tool you can calculate your expected rank. yours could be around 35ooo. My marks are 236 in upsee 2016 can I get government college. Sir i scored 204 marks in uptu 2016. So what will be my sc rank as well as general rank. you can check your expected rank from the above tool. I have scored 216 marks .. am I able to get gov collage ? I have got 396 marks anf i am obc . Can i get any of the government colleges and which streem would you suggest! i have got 320 marks in uptu paper 1 .can i get admission in any government college. Pl. tell me the names of govt colleges/univ/inst. for B. Arch. which considers upsee paper 4 marks. What is the job prospect after studying b. Arch? You can check the colleges list in the official UPTU site. B.Arch is a good field you can work with Construction companies like Jaypee group, DLF, etc. Also there are opportunities in the government sector. What was the last year’so cut off for hbti kanpur?? The predicted above are AIR? sir i got 324 in uptu paper 1 2016.can i get any good government college basis on this marks .please reply must. I score 236 marks in uptu 2016 .What branch of engineering will i get?? Visit UPTU Cut-Off 2016 for UPSEE. Sir,my marks comming out to be 160 .What could be my rank and will i be able to get a good private college? Plz predict my rank I’ve got 185 marks in uptu. I will get 470 marks in UPTU 2016. What will be my rank and which college I may get? Sir I got 440 marks so what could be my rank in uptu for PCB?? you can calculate your expected rank from the above tool. I will obtain 272 marks in upsee i am OBC.. What will be my rank and which colleges will i get? If I am 236 in uptu exam. Am I eligible in any of the up govt colleges ?? Kya mujhe acha gov college mil skta hai?? You can check information from here UPTU Rank Predictor 2016 – College Predictor 2016. Go through this article UPTU Cut-Off 2016 for UPSEE. Of which categry you want to know ? so can u tell me plz which college i expect???? dear medhavi according to your marks you can get average ranked upsee collage..this will also best choise for you. medhavi according to your marks you can get average ranked upsee collage..this will also best choise for you. I scored 352 in 2016 upsee paper 1. May i have a chance to get admission in AKG or KIET.?? How many marks are required to get cse or ece in hbti Kanpur? Also the GNGL rank for the same. We cant predict the cut-off before result announcement. sir, i got 148 marks in uptu can i get any government college. that’s depend upon smart choice of counselling… n which branch would u want?? ?